Recorded, mixed & mastered at: Vista Sound, Monte Sereno, CA Additional mastering at: Digiprep, Los Angeles, CA. Back photo by: David Sturgis. 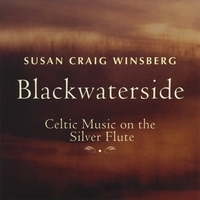 All arrangements by Susan Winsberg. “My Lagan Love” based partly on an arrangement by Hamilton Harty. This recording is dedicated to my mother, Millicent Craig Winsberg, whose rich cultural heritage has provided me with endless inspiration.